﻿By using our website, you hereby consent to our disclaimer and agree to its terms. If you disagree with any part of these terms and conditions, please do not use our website. We reserve the right to revise the content of, amend links from or withdraw access to the Web Site at any time without notice and without liability to you or any other person. The content of the pages of this website is for your general information and use only. Brass Monkey Brew House Pty Ltd will not be liable for any losses and/or damages in connection with the use of our website. Unauthorised use of this website may give rise to a claim for damages and/or be a criminal offence. We have no responsibility for the content of the linked website(s), nor claim any affiliation with the connected website(s) content. 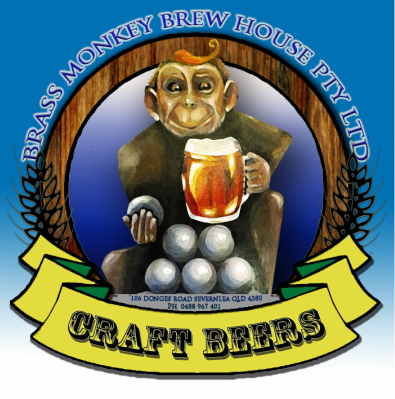 Our website material is owned by or licensed to The Brass Monkey Brew House Pty Ltd. This material includes, but is not limited to, graphics, images, names, descriptions. Reproduction is prohibited other than in accordance with the copyright notice below. Updated February 12th 2015. Except as permitted by the copyright law applicable to you, you may not reproduce or communicate any of the content on this website, including files downloadable from this website, without the permission of the copyright owner. ‘Brass Monkey Brew House Pty Ltd' supports the Responsible Service of Alcohol Queensland: Liquor Act 1992. It is against the law to sell or supply alcohol to, or to obtain alcohol on behalf of, a person under the age of 18 years. Queensland: Under the Liquor Act 1992, it is an offence to supply liquor to a person under the age of 18 years. Brass Monkey Brew House Pty Ltd does not facilitate the consumption of alcoholic beverages by persons under the age of 18 years. Brass Monkey Brew House Pty Ltd advises the consumption of alcoholic beverages to be enjoyed responsibly and in moderation in accoradnce with the '© Drink Responsibly' campaign. All labels and alcohol content is correct at time of printing only. Brass monkey Brew House are allowed to update this information without notice. Each batch of beer has a different alcohol content. Contact us for more information.